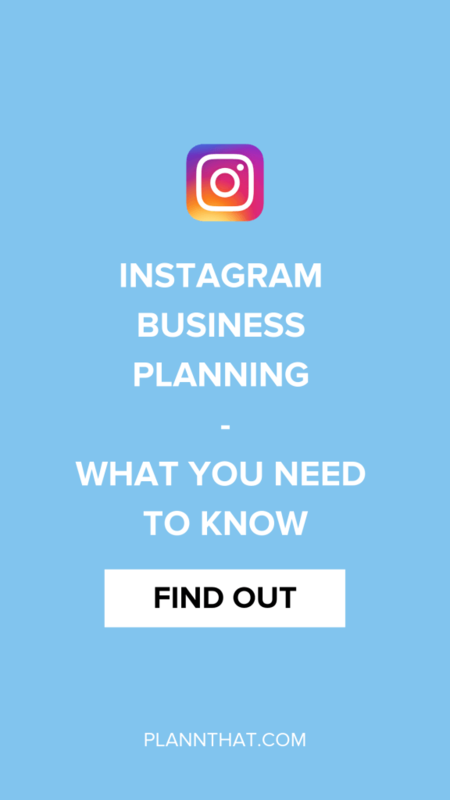 If you have been thinking about launching a business but don’t know where to start with your marketing, it’s well worth sitting down for a full-on Instagram business planning session. No kidding! Grab yourself a notepad and pen, a nice drink (preferably non-alcoholic but it’s up to you) and let’s get right into a few juicy tips for planning out the launch of your Instagram business. You’re going to smash this one out of the park! When you are using Instagram for business it is incredibly important that your profile picture is professional, high-resolution and consistent with the profile picture used across all branded social media platforms (and even your email display picture!). Ideally, your profile picture should be your logo (if you have one). Or if you have a personal brand, it should be a high-resolution headshot that has your face towards the camera. It should be close enough so that when someone sees your profile picture on Instagram they can make out what your eye color is and your facial expression. What is your main goal with Instagram? No seriously… why have you decided to start an Instagram account for your business, apart from the fact that Instagram is booming with over 1 billion users across the world? Is it because you want to increase visits to your e-commerce store and sales? Are you trying to grow your email list or waitlist for when you launch? Or are you simply looking to increase brand awareness? 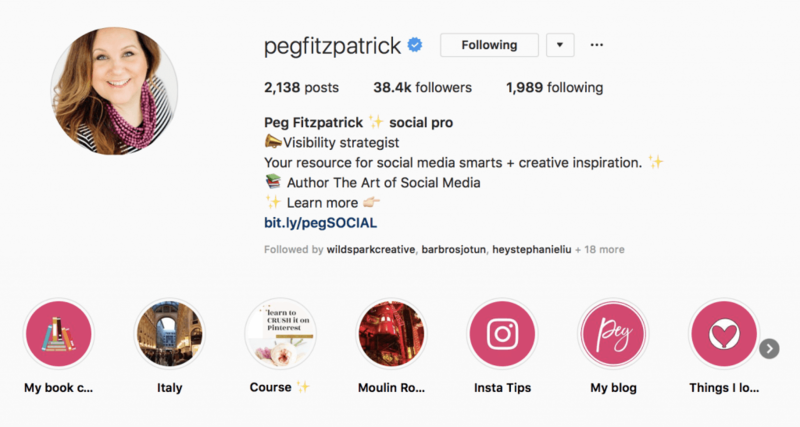 Depending on your goal of launching an Instagram business profile, your Instagram bio will need to have a different key message. ✔ Business Awareness – Make what your business is providing very clear in your bio, mention your signature product or service that you are launching. ✔ Website Visits/Sales – Mention something enticing about your website that will draw them in. For example, a limited edition offer, a brand new collection of products, or a seasonal service. Something that has really set us up for success at Plann is an optimized bio link. Rather than linking out to just one place on our website we use Linktr.ee to make sure we can link to multiple different web pages at once. This helps your Instagram audience to choose their own adventure, and get to where they want to go without having to navigate through your website on their own or worse, making them look up your brand on Google! By simplifying the journey for your Instagram audience you are far more likely to convert curious people into paying customers. Finally, once you’ve set up your Instagram profile it’s time to switch over to an Instagram business profile. As of December 11th in order to use any Instagram Scheduling tool (and to get the most business benefit from IG), you’ll need to have an Instagram business profile setup. In order to do this, you will need to link your Instagram to a Facebook business page, so make sure you’ve got that at the ready! To make the switch just go to the settings of your Instagram account and scroll down until you see the words “Switch to Business Profile”. After you’ve completed this you’ll be the proud owner of an Instagram business account, hurrah! This may seem obvious as Instagram *is* a visual social media network. But it really does help to go out and invest in professional photography for your account. PSSST-> Are you thinking of outsourcing your Instagram Marketing? On the same track as professional photography, with the increase in video content on Instagram and all social networks it is definitely worth getting some videos of you and your products to share. Even better if you can have a few customers of yours agree to be filmed for a video testimonial! 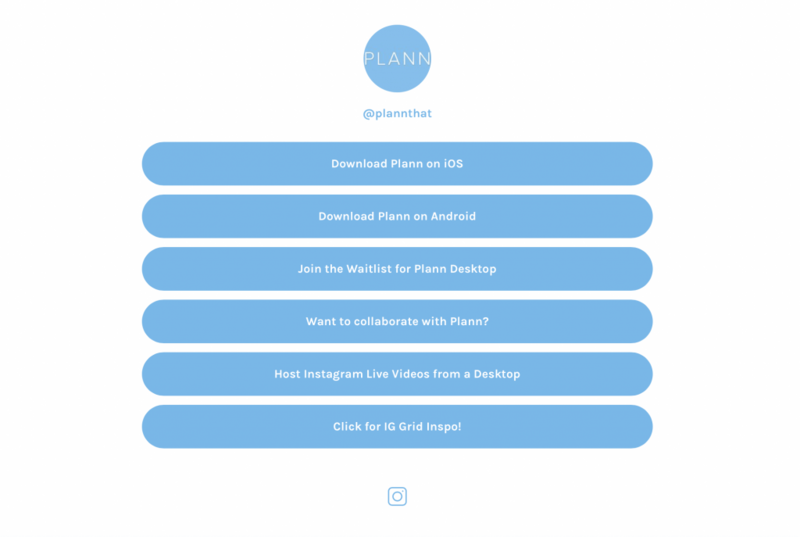 Have you found this Instagram business planning blog helpful? Be sure to share it with a fellow business owner who is getting ready to launch.